Five decades ago, Led Zeppelin released their first collection of mind-melting heavy blues; 12 years and eight studio albums later, the death of their drummer John Bonham shut the whole thing down. Those eight studio albums — the creativity, musicianship, songwriting, and production they exhibited — stand among the finest records made in the rock era. They have weathered changes in popular taste, technology, and distribution, and remain eight of the most listened-to collections of music in the world, with an estimated 300 million copies of those records in circulation. 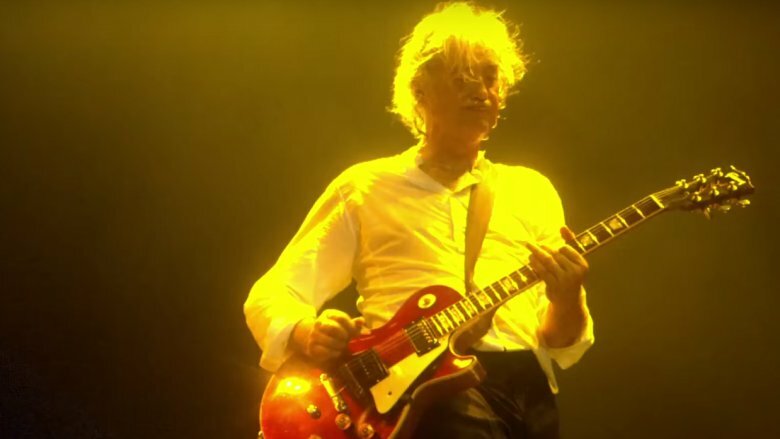 In 2007, the surviving members (guitarist Jimmy Page, singer Robert Plant, and bassist John Paul Jones) took the stage at the O2 Arena in London with Bonham's son Jason on the drums, and played a nearly perfect two-hour set. This stoked the appetite of their fans for more — more shows, maybe a big tour, maybe even new music. While the life and energy put forth in the O2 performance left many thinking they could indeed do it all again, Led Zeppelin never got back together. Here's why they never will. Led Zeppelin effectively ended on September 25, 1980, when Bonham culminated a massive drinking binge by passing out and dying. The great "Bonzo" was a notorious lover and consumer of strong drink, but not even his body could process the "40 measures" of vodka (according to The Guardian) that he had poured down his gullet during a 12-hour band rehearsal that day. Page, Plant, and Jones officially ended the band a few months later, issuing the following statement: "We wish it to be known that the loss of our dear friend and the deep sense of undivided harmony felt by ourselves and our manager, have led us to decide that we could not continue as we were." The statement seemed definitive, informing fans it was over, and likely trying to get the managers of Cozy Powell, Carl Palmer, Bev Bevan, and the like to stop calling them to offer their clients' services. But band principals Plant and Page have had to continue making variations of the same statement over the years. 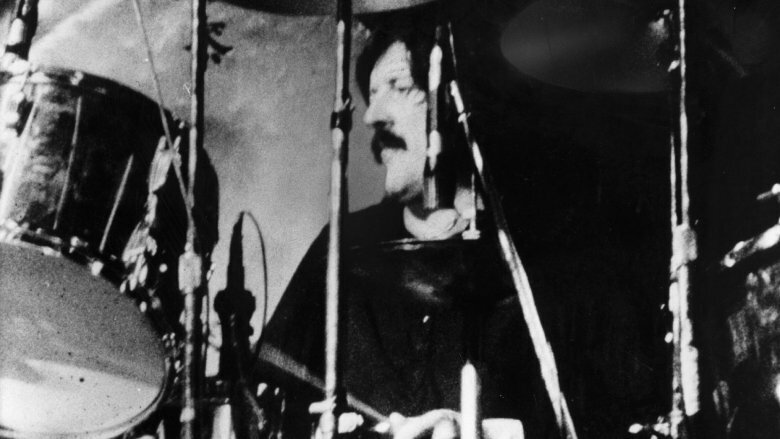 In 2012, Bonham's son, Jason, told a Florida radio station that Plant informed him, "John was the drummer in Led Zeppelin, and John was part of me and Jimmy and John Paul. We shared something very, very special." A couple years later, Page reiterated Plant's sentiment: "Led Zeppelin was an affair of the heart," he told Rolling Stone. "Each of the members was important to the sum total of what we were." As of this writing, Jimmy Page is 74 years old, Robert Plant is nearly 70, and John Paul Jones is 72. They are 11 years removed from their last gig together, though Plant still tours with his own solo band, and Jones plays shows with various people, when the mood strikes him. Still, with the exception of perhaps the Rolling Stones (the Stones are always the exception, to everything), the sight of 70-plus-year-old men trying to rock a stadium of 50,000 people might be a little awkward. Someone could get hurt, either on stage or in the crowd. Septuagenarian hips can be fragile, and headbanging is bad for the neck and shoulders. Then again, there might be hope for such an outing. Fine Brothers Entertainment has done us the favor of conducting a social experiment, during which they played a number of Zeppelin classics for a handful of children, ages 13 and under. Aside from one jaded longhair who claims to not like "real" instruments, the kids really dug what they heard. And while this doesn't account for potential injury to the performers in a proposed Zeppelin concert outing, it does make a good case for the regeneration of the band's audience. Jones is a busy man. Right now — right this very minute — he's probably practicing a yoik (a Nordic folk song) in Sami (a northwest Eurasian language) in anticipation of a gig with his new folk trio Snoweye. They have a concert coming up soon at a Norwegian music festival called Varangerfestivalen, whose curators describe their songs as "a beautiful musical landscape. Ethereal, yet soulful. Elusive, yet instinctive." Or he might be pondering his performance with Donovan last year, to celebrate The Adoration Trilogy (a charitable photography exhibit), and wondering whether the world needed another run through "Sunshine Superman." Or maybe he's reviewing the score or libretto for the opera he's been working on for the last who-knows-how-many years, a fresh take on August Strindberg's The Ghost Sonata which, according to his music publisher Chester Music, will be performed sometime in the 2019/2020 opera season. 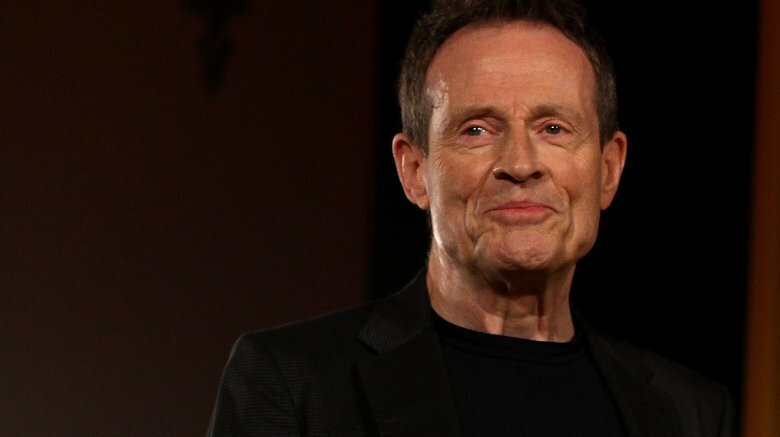 "The depth of the characters and the emotional undercurrents give great scope for music," Jones notes, "and I intend to use the full range of the symphony orchestra to convey both the atmosphere, suspense and passion of the piece employing mainly lyrical and tonal, yet progressive materials." Deep stuff, to be sure. Conversely, he could hook up with Dave Grohl again in Them Crooked Vultures — Grohl told New Music Express they still "text each other saying, 'Miss you man!'" Likewise, Jason Bonham has parlayed his role in the O2 concert into a varied slate of activities. 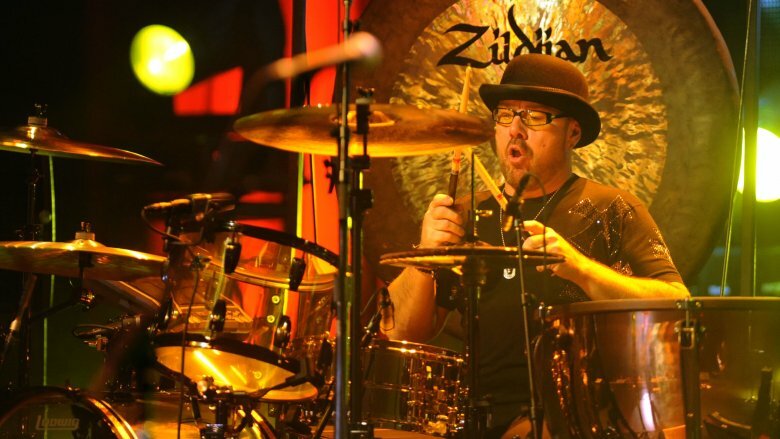 He tours theaters around the U.S. with his tribute show Jason Bonham's Led Zeppelin Evening, which he had originally called Jason Bonham's Led Zeppelin Experience until Led Zeppelin asked him to stop. "I was like, 'Um, okay, but I need to keep the logo, JBLZE,'" Bonham told radio station KSHE 95. "One, I have the tag on my car, and two, I have a huge backdrop that I paid for last year." Aside from that gig, he also drums for Black Country Communion, a supergroup consisting of Bonham, guitar great Joe Bonamassa, ex-Deep Purple bassist and singer Glenn Hughes, and former Dream Theater keyboardist Derek Sherinian. After a five-year hiatus, the band is once again an ongoing concern, having recorded its most recent record, BCCIV, in a week flat, according to Classic Rock. Bonham is also engaged in making people's rock 'n' roll dreams come true through his involvement with Rock 'n' Roll Fantasy Camp. For around $5,000, campers can jam with Bonham and Aerosmith's Joe Perry, and for four days rock out, take seminars, and live like rock stars (groupies not included). 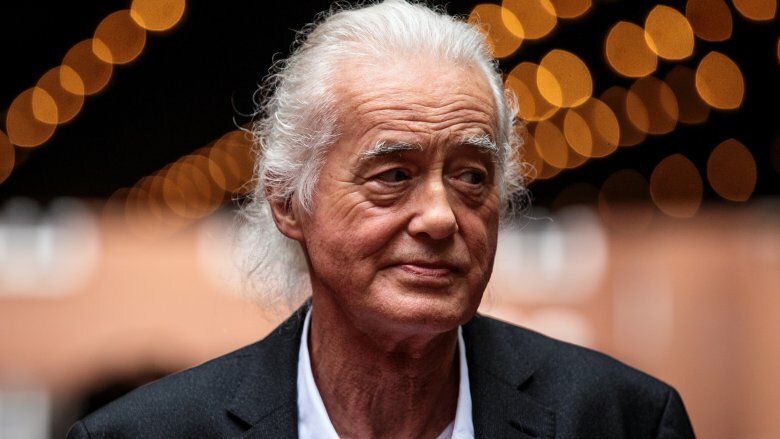 Jimmy Page released his (thus far) only solo record, Outrider, in 1988, and has been talking about doing a follow-up album since right after 1988. He's done collaborations; 1993's Coverdale/Page album with Whitesnake front man David Coverdale was cool, as was the 1998 record he did with Robert Plant, Walking into Clarksdale. More recently, he's hinted at actually following through on his desire to release new solo music, especially since he's spent so much time re-invigorating and reissuing Led Zeppelin's back catalog, immersing himself in his past. "I've got a game plan," he told Rolling Stone in 2015. "I'm not going to tell anybody anything. I don't want to give people ideas. … I prefer to just get people by the jugular — when I'm ready." Page left some clues as to the content of his next solo endeavor in an earlier interview with Rolling Stone, in which he discussed a wide-ranging guitar project. "If you think about all the areas that I've attempted, guitar, whether it's acoustic or electric or whatever, all the different approaches that I've done, it's just gonna be an extension of all of that, and that's it," he said. "So it's not just acoustic, it's not just electric, it's everything I can muster up." Fans eagerly anticipate it, whatever it is and whenever it's released. 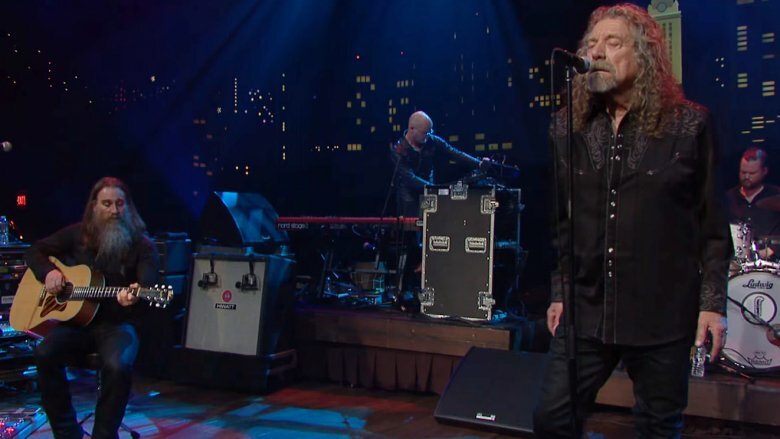 Robert Plant gets credit/blame for being the major stick in the mud regarding a Zeppelin reunion, accused of being too focused on the present to give the public want it really wants — a slice of the past. It may be heresy to suggest that since 2007 he's made the best music of his life, but call him a heretic then. Better yet, listen to his records, from his Grammy-winning collaboration with bluegrass chanteuse Alison Krauss, Raising Sand, through his three most recent solo albums, including 2017's Carry Fire. The fact that these fine records don't help listeners recall barely memorable moments of youthful debauchery, as "Dancing Days" or "Black Dog" or "Stairway" do, is not the fault of the records, nor is it the fault of the man who made them. It does, however, mean those listeners might need some new moments of debauchery, not to mention a new soundtrack for them. Plant, though, is having none of the reunion talk. "Do you know why the Eagles said they'd reunite when 'hell freezes over,' but they did it anyway and keep touring?" he asked a reporter from Rolling Stone. "It's not because they were paid a fortune. It's not about the money. It's because they're bored. I'm not bored." When the O2 show was over, Plant went back to his solo duties, but Page, Jones, and Jason Bonham did not downshift so easily. According to Ultimate Classic Rock, "They all felt the old energy and they wanted more. Soon realizing that Plant wasn't going to be persuaded to participate, they worked behind the scenes throughout 2008, searching for someone else to sing." 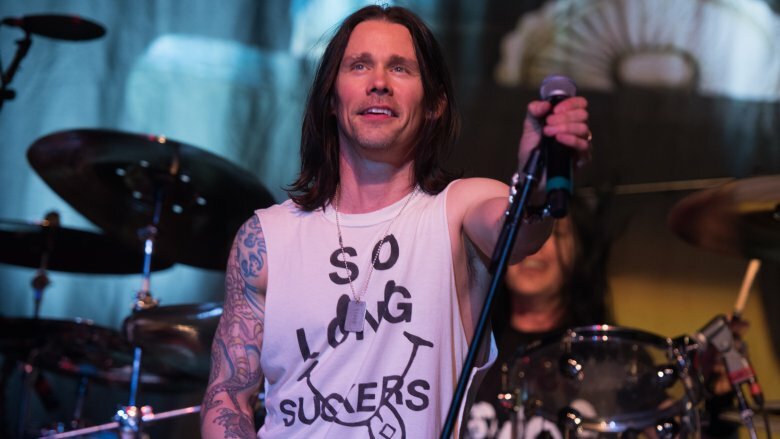 Those "someones" included Aerosmith's Steven Tyler and Alter Bridge front man Myles Kennedy. Joe Perry, in The Guardian, claimed Zeppelin's camp had called Tyler's rehearsal "shambolic," and that Tyler "didn't even seem familiar with the Led Zeppelin catalog." Tyler denies that description, claiming he was offered the gig but turned it down. Things seemed to go better for Kennedy. "Those rehearsals I will remember to my dying day," he said on That Metal Show. "We played 'The Rain Song,' which is probably my favorite Led Zeppelin song, 'No Quarter,' 'Kashmir.' It was a lot of fun." Ultimately, Page, Jones, and Bonham decided to forego a Plant-less Zeppelin incarnation, but it hasn't stopped others from offering their voices, however tongue-in-cheek, like American Idol finalist Adam Lambert, now fronting Queen, who has said he'd "love to sing some Led Zeppelin." Had Robert Plant set aside his reservations and green-lighted a full-on reunion tour after the O2 show in 2007, a reformed Led Zeppelin could (and probably would) have gone out and conquered the planet once again, playing stadiums around the globe, raking in millions upon millions of whatever currency they chose, and bringing smiles to the faces and fuzzy memories to the minds of innumerable fans. But Plant said no, the rest gave up on the idea, and all involved went back to their lives as multi-millionaire musicians. And that was that. With the right amount of hype, it would be possible to take the band out on the road today and do huge business, but the momentum from the 2007 triumph has long since dissipated. And, besides, as Page told Planet Rock, "You've just got to face facts. We've gone past the tenth anniversary of the O2, where we managed to do one serious concert. That's the only thing that we've done for such a long time, so I very much doubt we'll do anything else. I really think the time has gone." Led Zeppelin is a powerful memory machine, and Page has spent a great deal of time and effort in recent years feeding that machine a steady supply of reissued albums with remastered sound and bonus tracks, on CD, downloadable files, and pristine vinyl. The most recent of these is a refurbished issue of the band's 2003 live compilation How the West Was Won, and Page has hinted that more live material will see the marketplace in the near future. 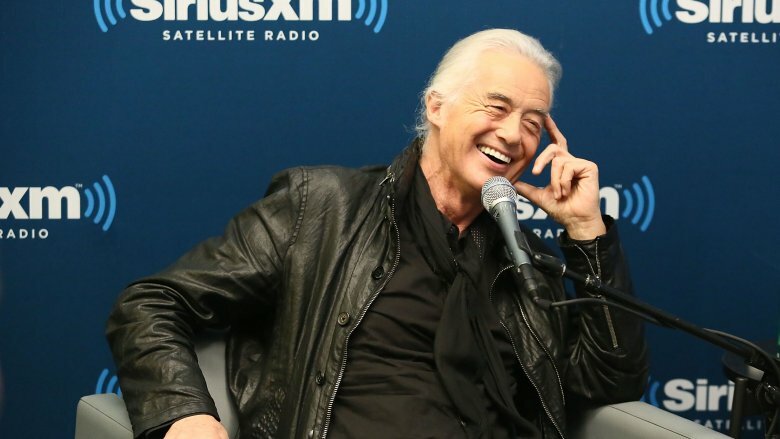 "There'll be a Led Zeppelin product coming out for sure, and that people haven't heard, because I'm working on that," he said. "So there's all manner of surprises coming out." There will also be a new Led Zeppelin book in stores shortly. Page told Billboard he was really pleased the band was involved in the upcoming book: "It will be really good to have an authoritative book, where the band are actually contributing to it rather than being ripped off." 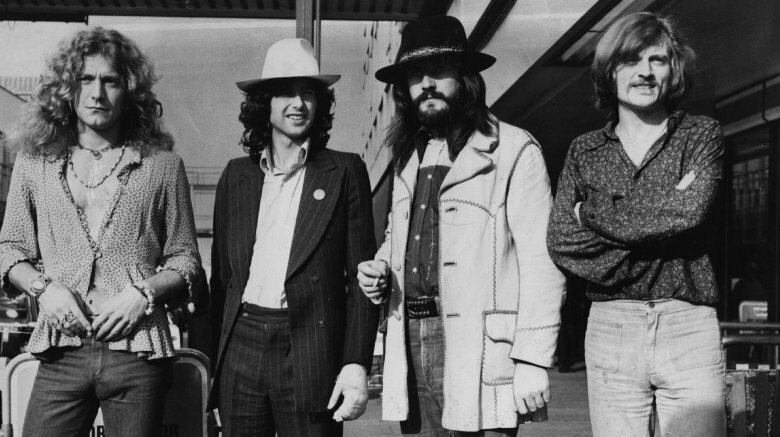 Only a handful of other music acts can lay claim to the same kind of influence that Led Zeppelin continues to have half a century after their first songs were heard. Yes, they went onstage in 2007 and proved they could very easily go out and do it all again. Yes, their fans have their lighters at the ready, perpetually prepared to shine them once again for their heroes. But that's not enough reason for the band to do it. The monetary and egocentric reasons to put on an elderly production of the Physical Graffiti tour might compel most bands to hit the road once more, but Zeppelin (first Plant, then the others) realize it would merely be a pale reflection of an entity that once shone brightly. They have nothing more to prove. In the end, it might all come back to what they lost in 1980, when John Bonham took his last drink and rumbled off this plane of existence. Jason Bonham told an interviewer that his father's absence still haunts Plant; he quotes Plant as saying, "I struggle sometimes just thinking about trying to create some magic again when he's not there." In his mind, there is no Led Zeppelin without that magic, and no magic without John Bonham. Page, Plant, and Jones have proven they can play without their old friend, but without him, there is truly no Led Zeppelin.